Need a 312 area code for your teleconferencing needs? Need to promote your business in Greater Chicago? Branded BridgeLine offers 312 phone numbers to compliment our premium teleconferencing features. Image is important for businesses and your image is projected in all of your customer interactions, including businesses services. We are one of the few teleconferencing services that make 312 phone numbers available. Having the convenience of international dial in numbers doesn’t come at a cost to your brand. You can have your branding throughout the conference experience. You can even have language specific greetings if you’d like. Having the convenience of international dial in numbers doesn’t come at a cost to your brand. You can have your branding throughout the conference experience. You can even have language specific greetings if you’d like. Having the convenience of international dial in numbers doesn’t come at a cost to your brand. You can have your branding throughout the conference experience. You can even have language specific greetings if you’d like. Having the convenience of international dial in numbers doesn’t come at a cost to your brand. You can have your branding throughout the conference experience. You can even have language specific greetings if you’d like. 1) teleconferencing needs? 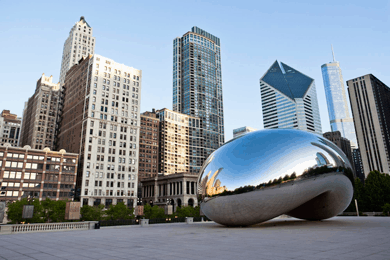 Need to promote your business in Greater Chicago? Branded BridgeLine offers 312 phone numbers to compliment our premium teleconferencing features. 2) Your image is projected in all of your customer interactions, including businesses services. We are one of the few teleconferencing services that make 312 phone numbers available. 3)Branded BridgeLine offers 312 phone numbers to compliment our premium teleconferencing features. Sharing is nice in general, but your conference line doesn’t need to be! Select your own number from virtually any area code, local or domestic. Who doesn’t enjoy some Beatles tunes while waiting for things to get started! Sign up for a free trial and get a 312 phone number today.